To date this year sales are 28% ahead of last year’s miserable pace. Year over year average prices are down by about 5% to just over $500,000. Typically, prices rise through the year, and it’s a good bet that we’ll see about $550,000 by year-end. That would match the three years of price stagnation we had after 2001 after which prices jumped 18% in one year. There were a total of 1,997 properties listed for sale last week. 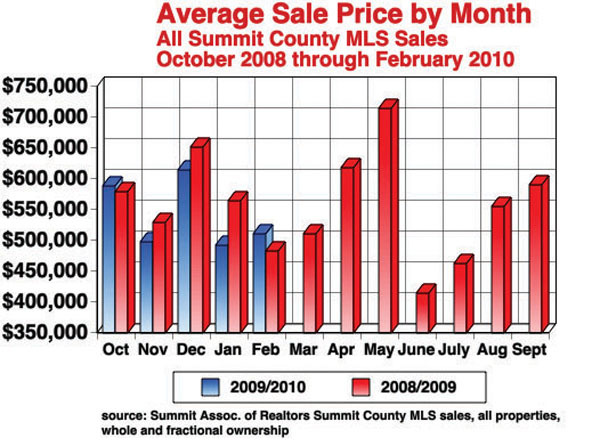 April 2006… last time the average monthly sales price was less than $400,000.